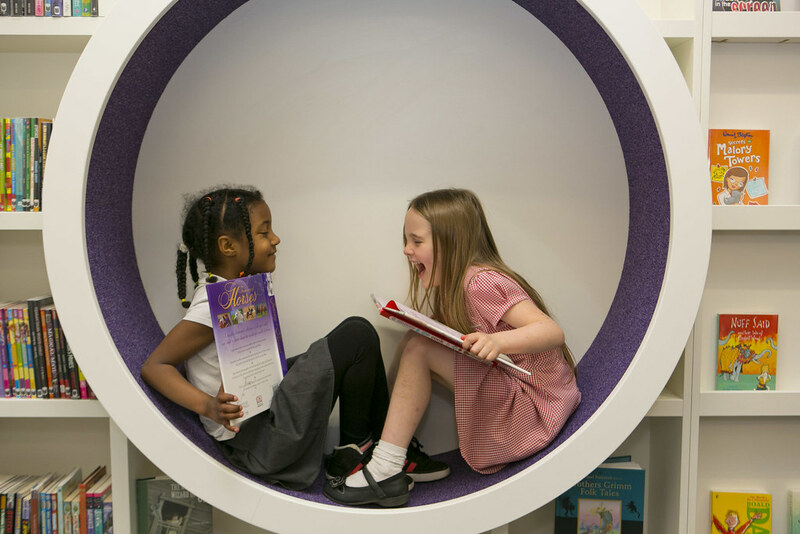 Happy 1st Birthday Edinburgh Children’s Library ! The new Edinburgh Children’s Library has been open for a year now – I don’t know if you’re like me and you love this place. I adore the little round reading nooks, and the bookshelf tree and beanbags in the back room. I love that there is a whole room dedicated to arts and crafts so the kids can get creative on every visit. Borrow a mystery book – from the 11th May, you might find a golden envelope and win a £10 book token. Bookbug – on Friday 15th May, Bookbug will be coming along to the usual session and there will be a present for every child attending. Birthday party – on Friday 15th May 2.30-4pm. Like all good parties we’ll have juice, cake and lots of party games. We’ll even have a lucky dip for some helium balloons. I’m planning to visit for the birthday party tomorrow afternoon, so maybe see you there ?? This entry was posted in Uncategorized and tagged birthday party, edinburgh children's library, reading nook by Edinburghfestivalsforkids. Bookmark the permalink.